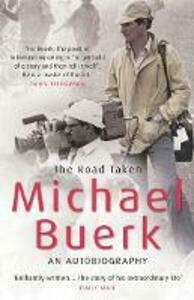 Those words opened Michael Buerk's first report on the Ethiopian famine for the 6 o'clock news on October 24th 1984. His reports sent shock waves round the world. The Live Aid concert, a direct consequence of Bob Geldof watching that broadcast, was watched by half the planet. Michael Buerk has reported on some of the biggest stories in our lifetime: the Flixborough chemical plant fire, the Birmingham pub bombing, Lockerbie. He was in Buenos Aires at the start of the Falklands War; he reported the death throes of apartheid in South Africa. He was the face of the BBC flagship evening news for many years and has fronted everything from the popular BBC1 series 999 to the erudite Radio 4 programme The Moral Maze. He has won every major award and is universally admired and respected for his intelligent and honest journalism. Here, he also reveals the private Michael Buerk, his bigamist father, his long and happy marriage to Christine and his delight at fatherhood.